The keyboad layout on a label maker can have a huge bearing on how efficient it is to create labels. There's nothing worse than fumbling with a label maker when you're in a hurry to print a label, or when you're printing a large number of labels. The Dymo LabelManager 160 utilizes a QWERTY keyboard. For anyone who is not familiar with the acronym QWERTY, it refers to the position of various letters on the keyboard. Almost all computers use a QWERTY keyboard, and it would be fair to say that anyone who has ever used a computer would have used the QWERTY layout. The QWERTY layout is easily identifiable because the order of letters along the top row of this layout are Q-W-E-R-T-Y. Getting back to the LabelManager 160..... since the LM160 uses the QWERTY layout, most users find it extremely easy to type words for their labels. The device is regonomically designed to fit in the palm of the users hand, or can be held with both hands, making it conducive to 1 or 2 finger typing. Additionally, the LM160 has a number of Hot Keys that enable fast formatting of labels, and there's also an intuitive menu system. 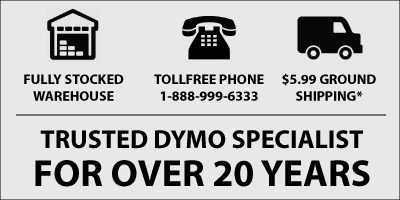 The Dymo LM160 is a very affordable label maker and is a handy tool to have in/around the home or office.